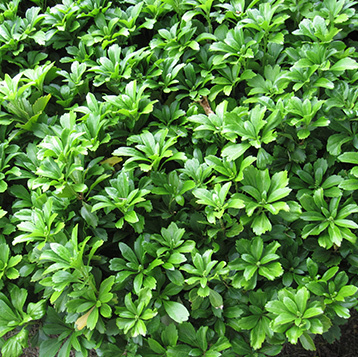 Pachysandra is an evergreen ground cover which grows 8-12" high and forms a dense carpet of rich, dark green foliage. It is best suited for partial to full shade locations. Provides visual interest year round. Ground Cover is available under perpetual care only. Please contact us if you need help determing the size of your planting bed. Download the form to order by mail.